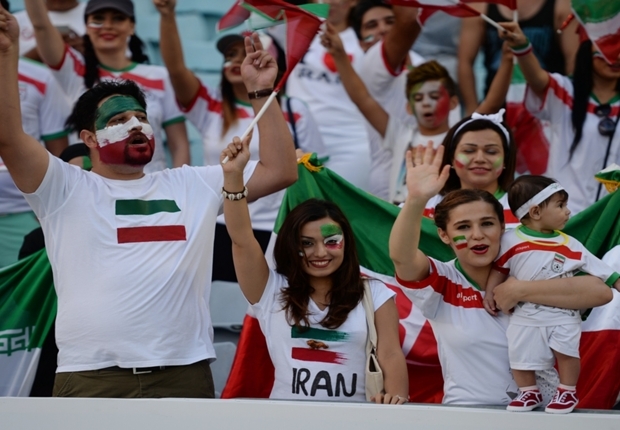 Today Iran played Iraq, as part of the Asian Cup tournament currently taking place in Australia. It was one of the best matches I have seen in a long time. The two sides drew 3-3 and it went to penalties. Iran lost. There is a lot of controversy regarding the referee’s performance during the game. In any case it was very exciting to watch the match. Lots of praying, lots of jumping up and down. Football belongs to the people of Iran. It represents the people of Iran and not the regime. So when team Iran plays, every Iranian, no matter what ethnicity or religion gets behind the team. Here are the highlights from today’s unforgettable match. Shame that Iran lost. A big shame. Very sad. ← What does Putin think about #Iran and #Israel security concerns?